Acarbose Tablets are available as 25 mg, 50 mg and 100 mg tablets for oral use. The inactive ingredients are colloidal silicon dioxide, corn starch, magnesium stearate and microcrystalline cellulose. Acarbose is metabolized exclusively within the gastrointestinal tract, principally by intestinal bacteria, but also by digestive enzymes. A fraction of these metabolites (approximately 34% of the dose) was absorbed and subsequently excreted in the urine. At least 13 metabolites have been separated chromatographically from urine specimens. The major metabolites have been identified as 4-methylpyrogallol derivatives (i.e., sulfate, methyl, and glucuronide conjugates). One metabolite (formed by cleavage of a glucose molecule from acarbose) also has alpha-glucosidase inhibitory activity. This metabolite, together with the parent compound, recovered from the urine, accounts for less than 2% of the total administered dose. The fraction of acarbose that is absorbed as intact drug is almost completely excreted by the kidneys. When acarbose was given intravenously, 89% of the dose was recovered in the urine as active drug within 48 hours. In contrast, less than 2% of an oral dose was recovered in the urine as active (i.e., parent compound and active metabolite) drug. This is consistent with the low bioavailability of the parent drug. The plasma elimination half-life of acarbose activity is approximately 2 hours in healthy volunteers. Consequently, drug accumulation does not occur with three times a day (t.i.d.) oral dosing. • Although studies utilized a maximum dose of 200 or 300 mg t.i.d., the maximum recommended dose for patients <60 kg is 50 mg t.i.d. ; the maximum recommended dose for patients >60 kg is 100 mg t.i.d. **The 300 mg t.i.d. acarbose regimen was superior to lower doses, but there were no statistically significant differences from 50 to 200 mg t.i.d. Acarbose was studied as monotberapy and as combination therapy to sulfonylurea, metformin, or insulin treatment. The treatment effects on HbA1c levels and one-hour postprandial glucose levels are summarized for four placebo-controlled, double-blind, randomized studies conducted in the United States in Tables 2 and 3, respectively. The placebo-subtracted treatment differences, which are summarized below, were statistically significant for both variables in all of these studies. Acarbose Tablets are contraindicated in patients with known hypersensitivity to the drug and in patients with diabetic ketoacidosis or cirrhosis. Acarbose Tablets are also contraindicated in patients with inflammatory bowel disease, colonic ulceration, partial intestinal obstruction or in patients predisposed to intestinal obstruction. In addition, Acarbose Tablets are contraindicated in patients who have chronic intestinal diseases associated with marked disorders of digestion or absorption and in patients who have conditions that may deteriorate as a result of increased gas formation in the intestine. In long-term studies (up to 12 months, and including acarbose doses up to 300 mg t.i.d.) conducted in the United States, treatment-emergent elevations of serum transaminases (AST and/or ALT) above the upper limit of normal (ULN), greater than 1.8 times the ULN, and greater than 3 times the ULN occurred in 14%, 6%, and 3%, respectively, of acarbose-treated patients as compared to 7%, 2%, and 1%, respectively, of placebo-treated patients. Although these differences between treatments were statistically significant, these elevations were asymptomatic, reversible, more common in females, and, in general, were not associated with other evidence of liver dysfunction. In addition, these serum transaminase elevations appeared to be dose related. In US studies including acarbose doses up to the maximum approved dose of 100 mg t.i.d., treatment-emergent elevations of AST and/or ALT at any level of severity were similar between acarbose-treated patients and placebo-treated patients (pâ‰¥0.496). In approximately 3 million patient-years of international post-marketing experience with acarbose, 62 cases of serum transaminase elevations >500 IU/L (29 of which were associated with jaundice) have been reported. Forty-one of these 62 patients received treatment with 100 mg t.i.d. or greater and 33 of 45 patients for whom weight was reported weighed <60 kg. In the 59 cases where follow-up was recorded, hepatic abnormalities improved or resolved upon discontinuation of acarbose in 55 and were unchanged in two. A few cases of fulminant hepatitis with fatal outcome have been reported; the relationship to acarbose is unclear. Plasma concentrations of acarbose in renally impaired volunteers were proportionally increased relative to the degree of renal dysfunction. 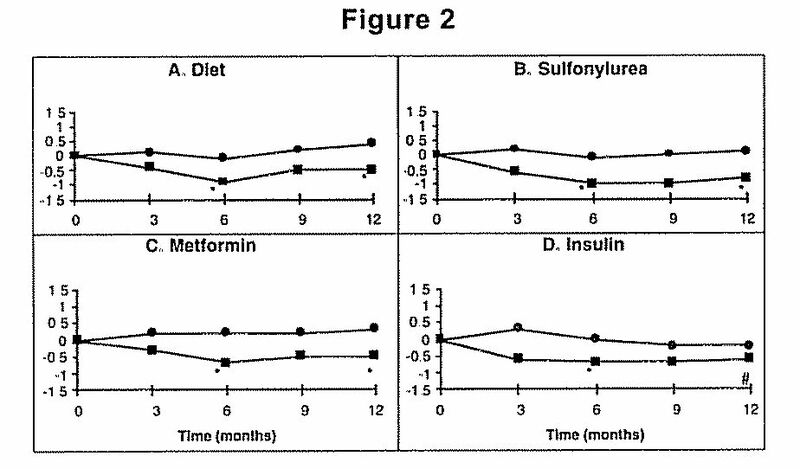 Longâ€‘term clinical trials in diabetic patients with significant renal dysfunction (serum creatinine >2 mg/dL) have not been conducted. Therefore, treatment of these patients with acarbose is not recommended. Intestinal adsorbents (e.g., charcoal) and digestive enzyme preparations containing carbohydrate-splitting enzymes (e.g., amylase, pancreatin) may reduce the effect of acarbose and should not be taken concomitantly. which may require digoxin dose adjustment. (See CLINICAL PHARMACOLOGY: Drug-Drug Interactions). Of the total number of subjects in clinical studies of acarbose in the United States, 27 percent were 65 and over, while 4 percent were 75 and over. No overall differences in safety and effectiveness were observed between these subjects and younger subjects. The mean steady-state area under the curve (AUC) and maximum concentrations of acarbose were approximately 1.5 times higher in elderly compared to young volunteers; however, these differences were not statistically significant. Gastrointestinal symptoms are the most common reactions to acarbose. In U.S. placebo-controlled trials, the incidences of abdominal pain, diarrhea, and flatulence were 19%, 31%, and 74% respectively in 1255 patients treated with acarbose 50 to 300 mg t.i.d., whereas the corresponding incidences were 9%, 12%, and 29% in 999 placebo-treated patients. The maximum recommended dose for patients â‰¤60 kg is 50 mg t.i.d. The maximum recommended dose for patients >60 kg is 100 mg t.i.d. Acarbose Tablets are supplied as round, white to off-white, biconvex tablets. The 25 mg tablet is debossed with the product identification "54 311" on one side and plain on the other side.